Thinking about all the types of toy vehicles we have got me thinking that the girls could use them to practice sorting as well as graphing. 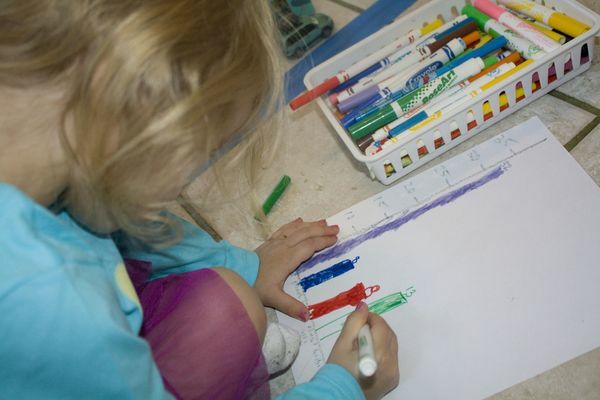 I mean why not introduce graphs in an easy hands-on learning activity! This is the first time I had introduced graphs to the girls, so I needed it to be pretty easy. 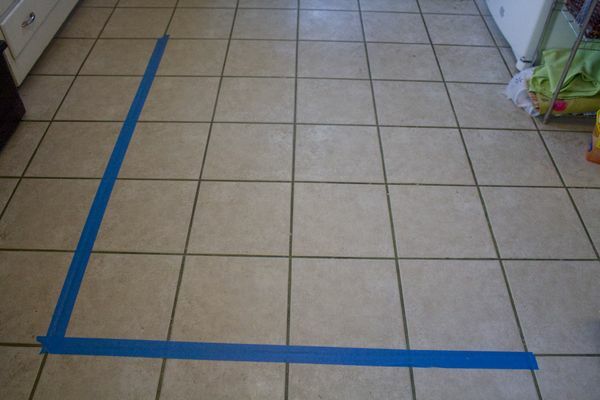 I decided to make a giant bar graph on the kitchen floor with painters tape. Then the girls could make the bars by separating the vehicles by type. 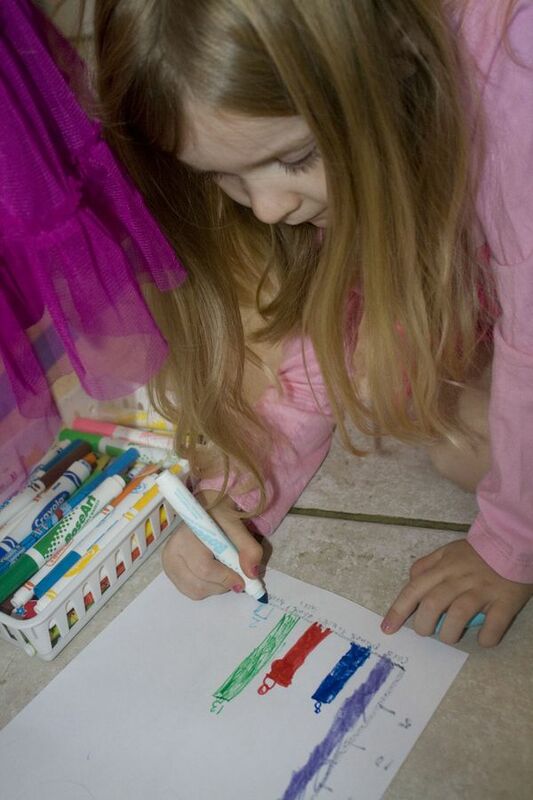 I started by making the lines for the graph with painters tape. This is easiest on the tile floor as the measurements are built in. I told the girls each tile would be a measure of 5, so only 5 cars could go in each tile. 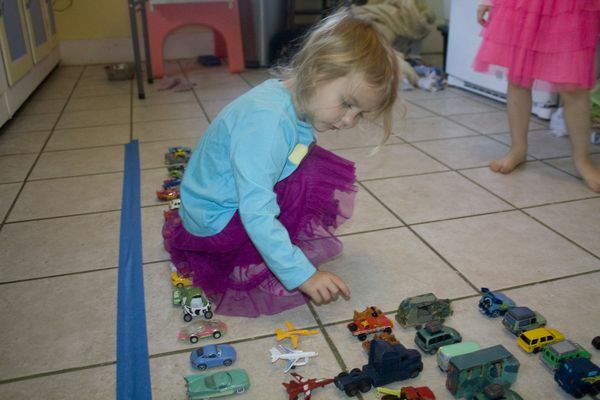 Now I turned them loose to sort the cars. We had cars, planes, trucks, construction equipment, and for a while we had SUV's and vans separated. It ended up being too hard for the girls to tell the difference between some of the SUV's and vans though, so we combined them. And they sorted and sorted. Really I have no idea why we have so many toy vehicles! In fact, we actually didn't even have room for all the cars, so we just stopped sorting after we ran out of other vehicles. 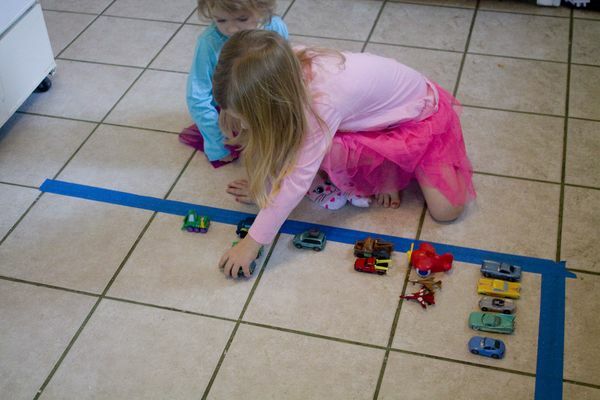 Once we had them all the vehicles in lines, the girls counted the vehicles in each line. After they had successfully counted each line I started a graph for them and showed them how to fill out the bars. Of course, since each tile was 5 cars, I could also have introduced skip counting if they had been a little older. Still practicing counting over 20 by ones though, so I just stuck with counting. The girls were super proud of the bar graphs they made, and the hands-on learning helped them really understand what the graph meant. Plus they got a lot of counting practice too! 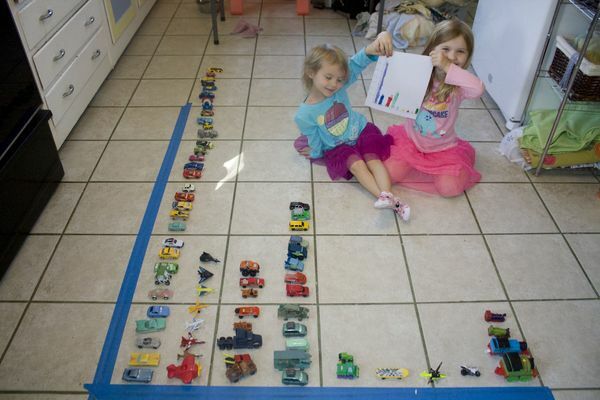 As soon as they finished the graph, they just wanted to drive the cars on the blue tape! Guess we will have to make some roads out of painters tape too!